Mythical adventures have always been Disney’s forte, and “The Water Man” is diving deep into the studio’s fantastical landscapes. 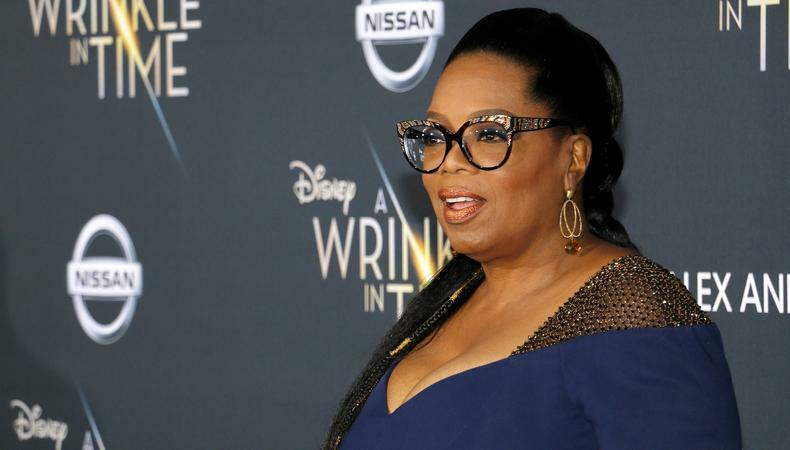 After “A Wrinkle in Time” earlier this year, Oprah Winfrey is renewing her bond with the House of Mouse for the epic project, here stepping behind the camera as a producer. The Harpo founder isn’t coming aboard the production solo, either; her “Selma” co-star David Oyelowo is also attached, pulling double duty as a producer and actor. The family feature will follow a young boy who, desperate to save his dying mother, runs away from home to find a mythical healer known as the Water Man. While he sets off to find the legendary character capable of cheating death, his distant father goes to find him. With lives on the line, the father and son are forced to reconnect before time runs out for the person they both love. While Oyelowo is the only name currently attached, Aisha Coley Casting is on the hunt for additional lead and supporting actors for the film. The project is slated to begin filming in early May2019 and continue through the summer. Unspecified locations in North Carolina will serve as the backdrop for the fantasy film. Bouffants and jet-black hair wouldn’t be nearly as reminiscent of the late ’60s if it weren’t for the pairing of Elvis Presley and Priscilla Beaulieu. The legendary couple—a match made in music heaven—is about to get the big-screen treatment in “Lonesome Tonight.” Despite their relatively short-lived, six-year nuptials, the duo had an almost Hollywood-scripted first encounter in Germany while Elvis was on active duty in the military. The project will trace that moment and the couple’s early love story up until their marriage in 1967. Director Daniel Barnz will shoot the film from a script featured on the 2016 Brit List. While no actors are currently attached to the project, Betty Mae Casting will have ample time to fill the romance’s roster before filming begins in the spring of 2019. Production will take place primarily in Germany. Timothée Chalamet and Rebecca Ferguson are about to take on the first installment of the two-part film saga “Dune.” The Francine Maisler–cast project will follow two opposing families as they wage war on one another to gain control of the titular desert planet. The films, based on the sci-fi novel by Frank Herbert, is an update on David Lynch’s 1984 adaptation and will begin filming in March 2019 in Budapest, Hungary.